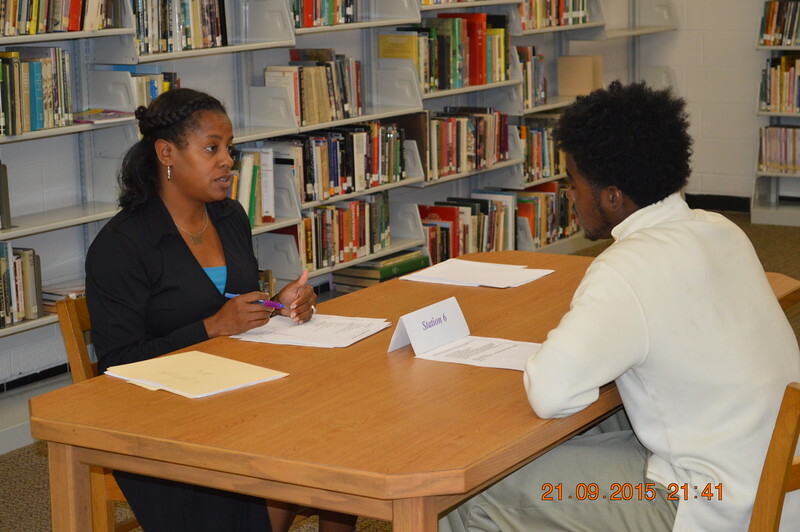 2015 Ascend Foundation Marked For Success (Fall Session) Phase 1 (Mock Interviews) (September 22-25, 2015) Part 1. This is (PHASE 1) of a MONUMENTAL program at Pontiac High that has been nothing short of GROUND BREAKING!!! We at the Ascend Foundation have developed a program that will forever effect every child that comes through the 11th & 12th grade to the point of them graduating. The name of the program is called: The Marked For Success Initiative (Mock Interviews). The district has identified a HUGE problem with children going through the education process and graduating only to find themselves not having a clue on how to embrace life. Children are leaving out of school not having a clue on how to position themselves to even get a job or even to position themselves for an internship. They don't know anything about: How to conduct themselves in an interview, structure and build a resume as well as appropriate business etiquette. This past May, we interviewed every child as Juniors. The second go around we gave them a more ADVANCED training to excel them to the next level of their progression. This is an interactive workshop that is geared to be very hands on and an outright fun way of teaching our youth about the art of INTERVIEWING & ETIQUETTE!!! . We brought in one POWERFUL GROUP OF PROFESSIONALS who will be running different interviewing stations. WE INTERVIEWED ALL 268 CHILDREN within a 2 day time span. Within this period, they will be scored and critiqued on their performance and given individual constructive encouragement on how to strengthen their abilities. This progress will go into their senior exit package for progress purposes to make sure WE DON'T FAIL THESE CHILDREN!!! . We then concluded by having an interactive assembly with all of the 12th graders that participated in the program earlier in the week and we dug deep into some of the children: questions, concerns and techniques to develop them into FORCES OF NATURE!!! This program is so GROUND BREAKING that we have already been approached by 7 other school districts that are asking us to bring this program to their school district!! !